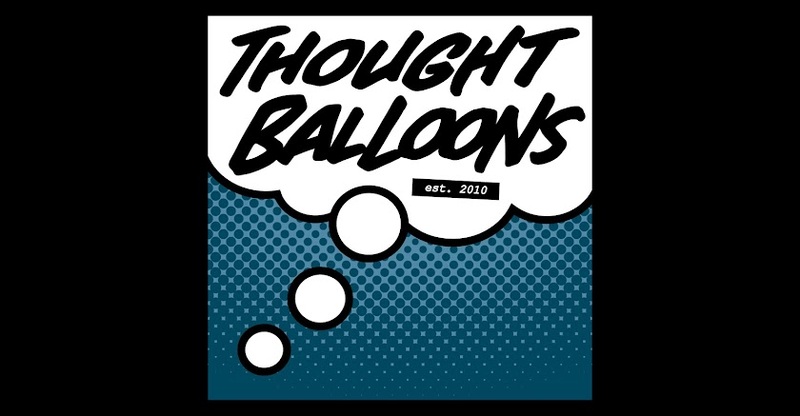 Thought Balloons - Creating Comics One Page At A Time: Why Andrew Bennett? ...because FANGS, BLOOD and VAMPIRES! Created by J.M. 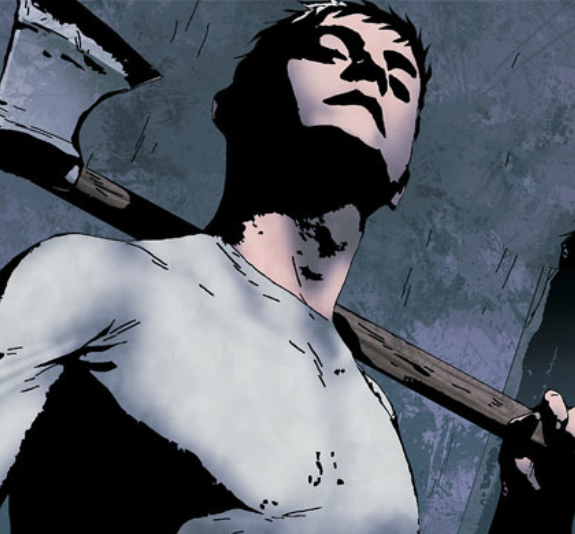 DeMatteis and Tom Sutton, Andrew Bennett is a 400 year-old vampire who hunts down his own kind. He is also unique in his ability to resist the urge to feed on human blood. Most of his vampiric life is dedicated to hunting down Mary, the Queen of Blood, who, sadly, also happens to be his ex-lover. And still kinda is. Tragic. 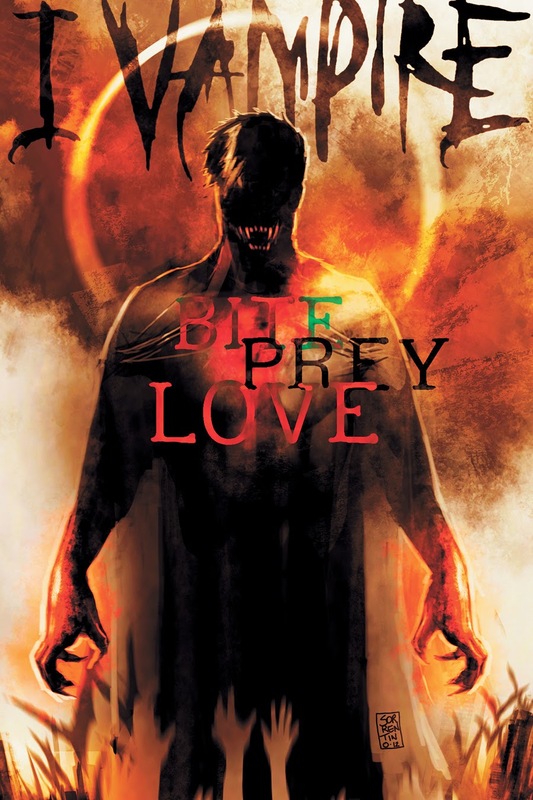 2011 was a bad time for the vampire genre, what with a certain "saga" running its rounds and making it synonymous to romance novels. And that "saga" was also actually pretty successful, money-making-wise, and so DC, being a business that wants to make money, tried to bank on that. 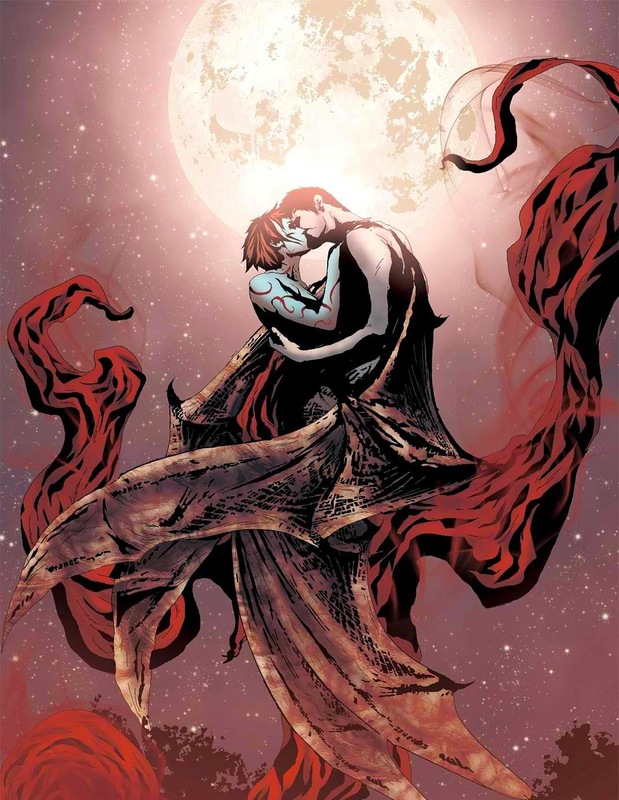 When the New 52 came around, I, Vampire was relaunched with Andrew and Mary being younger, and more... naked. 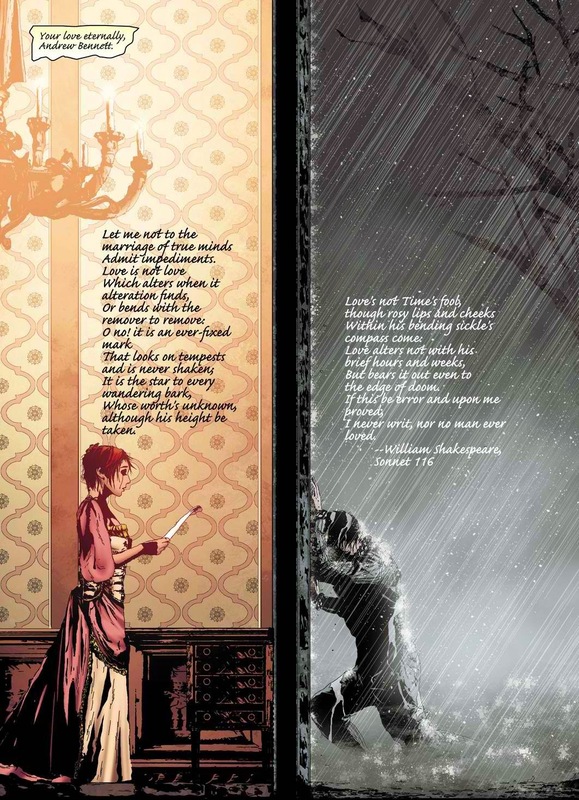 Fortunately, they hired Joshua Hale Fialkov and Andrea Sorrentino to write and art the book, and they made the book look good. They gave us blood and lots of it and they gave us a well-written, and beutifully rendered romantic and tragic story. Did I cry while reading the thing? Well, I can neither confirm nor deny that. So what is up with Andrew Bennett? Well, he's a vampire who hunts down vampires, but only the bad kind of vampires. The ones that can't be saved. The ones who are unable to resist the urge to feed on human blood, unlike himself. Thing is, he's the only one who can resist. He met another dude who he thought could, but that was a mistake. 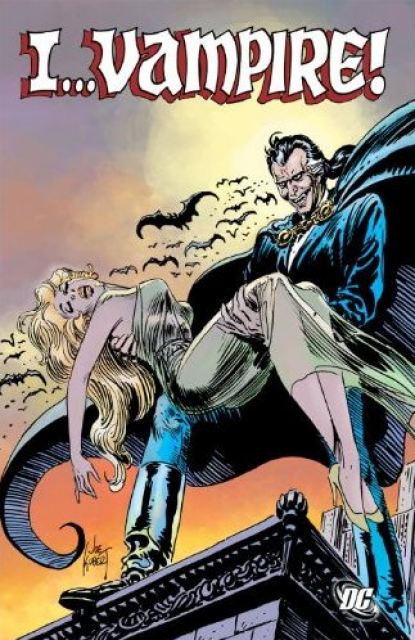 Oh, have I mentioned that his ex-lover, Mary Queen of Blood, is the "mother" of all the bad vampires? Yeah, there's that. He can do whatever vampires can do. He is invulnerable to most forms of injury, and if he does get injured, he can regenerate through drinking blood. He has superhuman strength and stamina. He possesses the ability to transform into a bat, a wolf, and even into mist. He also has some form of psychokinesis, which kinda allows him to influence people into doing what he wants them to do. He can also turn people into vampires. He's also good with the sword, the wooden stake, and the axe. Labels: Andrew Bennett, Arby Moay, Why, Why?